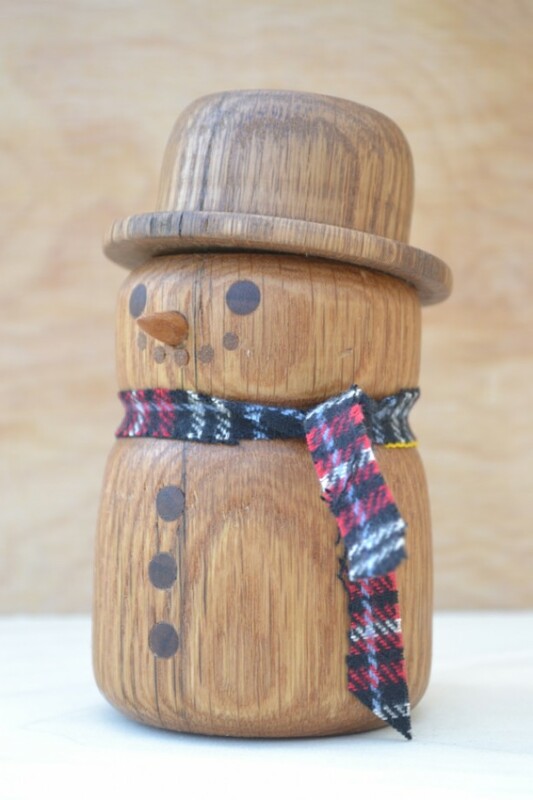 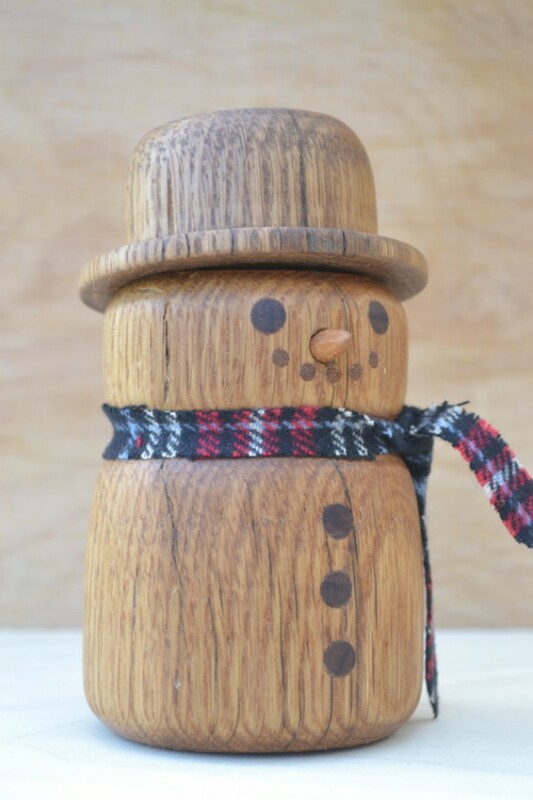 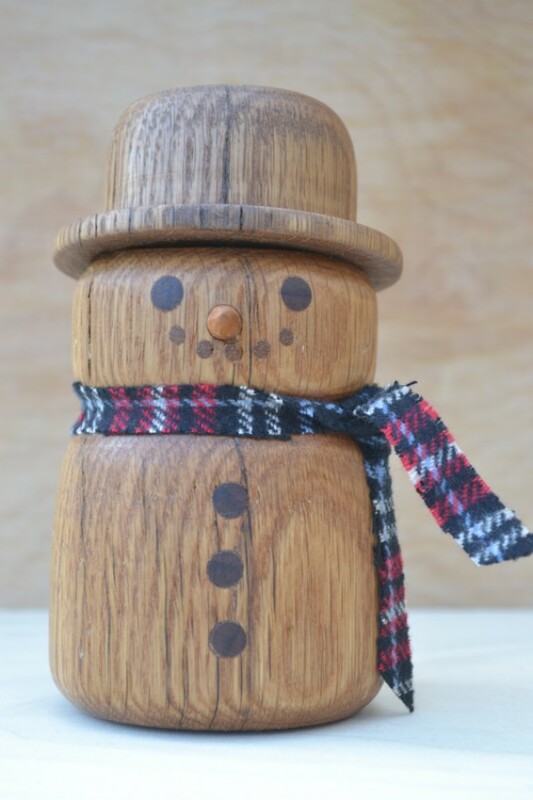 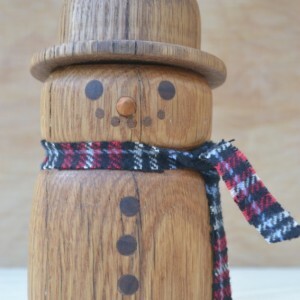 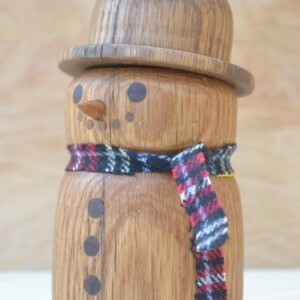 This hand-turned solid wood snowman is crafted from vintage white oak reclaimed from an Ohio barn. 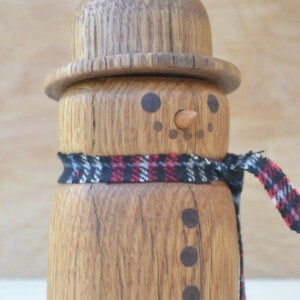 The eyes and buttons are made from walnut, the nose is cherry, and the mouth is poplar. 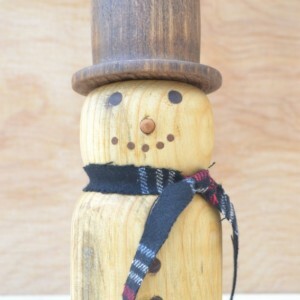 With no shortage of personality, this little character will add charm to any home or work space. 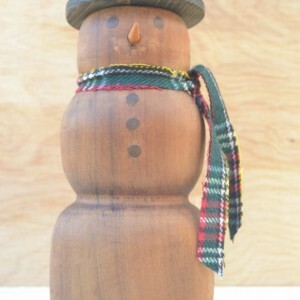 5" high 2 3/4" diameter Signed by the maker.